Here are Jane's three most recent books and how to order them. Click here for a full list of ELT publications. A fun, entertaining and very valuable guide to dealing with the stresses and strains of everyday life. Success Over Stress. Jane Revell. 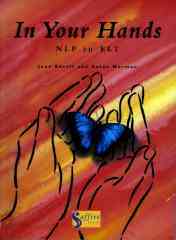 A5 paperback, 120 pages ISBN 1-901564-04-5 2000. Saffire Press, London. £12.50 + post & packing. The highly successful In Your Hands brings the fascinating insights of Neuro-Linguistic Programming to the world of teaching and learning and shows you how to incorporate NLP into your teaching and your life. The guided fantasies from In Your Hands are availableon a companion cassette (£8.50 + post & packing). Handing Over makes explicit the link between NLP and language learning, and shows you in detail what you can actually do in the classroom. It offers language teachers a range of practical activities which build learner’s self-esteem and enhance their awareness of themselves and of other people as they develop language skills. Handing Over: NLP based activities for language learning. Jane Revell & Susan Norman. A4 paperback, 144 pages. 1999. Saffire Press, London. ISBN 1-901564-02-9. £20 + post & packing. 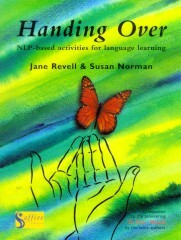 Jane Revell has written many other ELT books and courses. Click here for a full list.